Philip Mazeikas has schizophrenia and was aided two years ago by a Mobile Crisis Unit. His parents had called police, seriously concerned about their son. On the other side of the door stood Teresa Shackelford and Ellie Merrick from the Idaho Department of Health and Welfare's Mobile Crisis Unit. Two police officers were there too. Shackelford said some people can function well despite delusions, but Mazeikas wasn’t one of them. Mazeikas' parents, Mike and Deanna, felt they were out of treatment options for their son. Insurance had covered some therapy sessions but had run out. They had called police a handful of times when Philip's behavior became too volatile. On the third police visit, an officer told Mike Mazeikas about the Mobile Crisis Unit. He and his wife decided it was time to call. 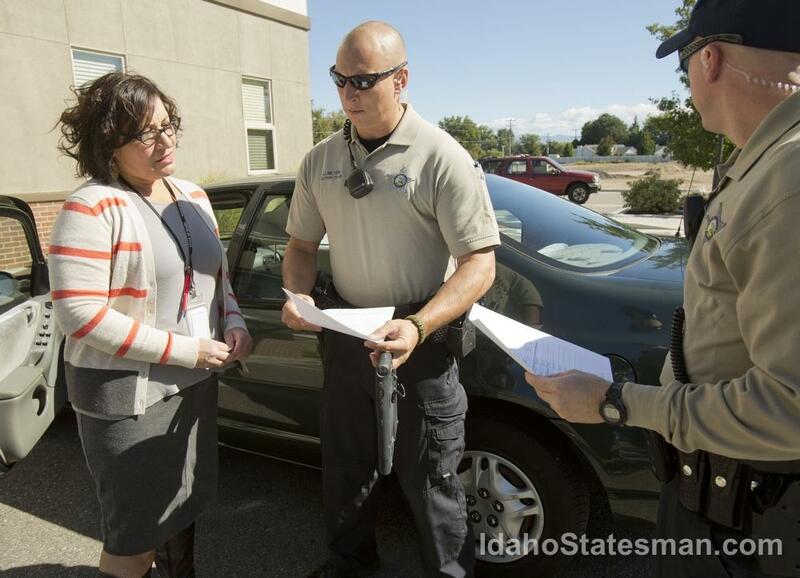 Idaho has mobile crisis teams scattered throughout the state. They work with law enforcement and first responders to connect families like the Mazeikases' with services to treat mental and behavioral illnesses. Often, mobile crisis workers are called to homes to de-escalate a conflict or potentially dangerous situation, and to evaluate the mental state of a person. The evaluation determines if a person qualifies for a mental hold or an involuntary commitment to a treatment facility. Mental holds are typically required when the person lacks a grasp on reality and refuses to seek help. Last fiscal year, 5,095 Idahoans were placed on a mental hold. That’s nearly a 40 percent increase since 2008. As they stood at the Mazeikas' front door two years ago, Shackelford asked Philip basic questions to understand if he was taking care of himself, or to see if his delusions had so affected his everyday life that he was a danger to himself. Shackelford went back to her office and filled out the paperwork to send Mazeikas to the state hospital against his will. A judge signed the order, Philip began the first of two stints at Idaho State Hospital South in Blackfoot. It’s that return to reality that health professionals hope for when they respond to crisis calls. Mobile Crisis Unit clinician Diana Wasser works with Ada County Sheriff Deputies Jared Meyer, center, and Tyler Stenger in a new program for people with mental health issues. It provides officers with additional information when they're walking into a crisis situation. CRISIS TEAMS: A RESPONSE TO DEFUNDING? Sgt. David Cavanaugh manages Boise Police Department’s Crisis Intervention Team, which is essentially law enforcement’s version of mobile crisis units the state health department deploys. 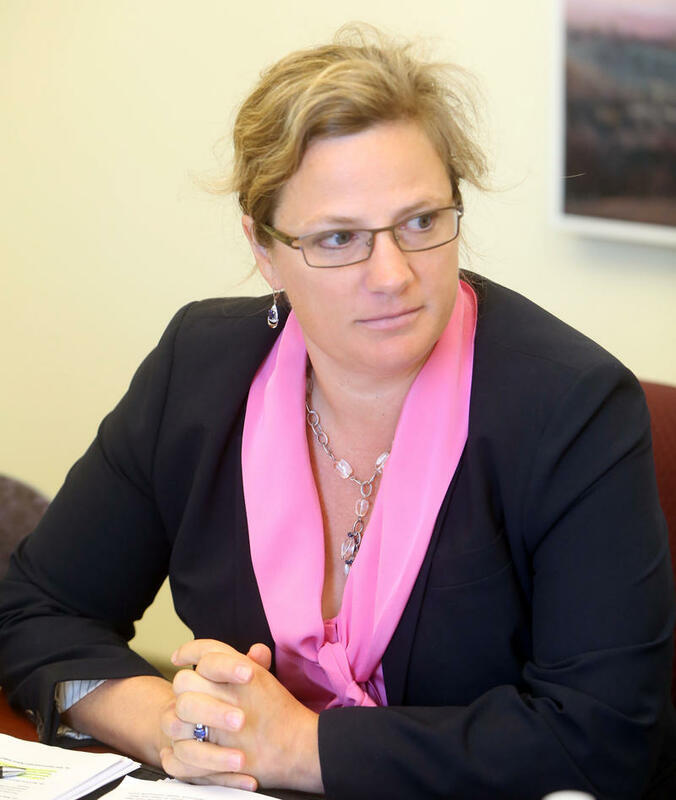 Since 2007, Cavanaugh has been developing and implementing a collaborative plan that gives police officers the tools they need to better respond to mental-health crisis calls. Cavanaugh said all police officers in Idaho receive some basic training in how to de-escalate a potentially dangerous situation. Of the Boise Police Department’s 286 sworn officers, about a quarter have had 40 additional hours of crisis-intervention training. Crisis-intervention teams and mobile-crisis units have become the response to the defunding of mental health care across the country, said Laura Usher, a program coordinator at the National Alliance on Mental Illness (NAMI). Instead of early intervention, or preventive mental health screenings, too often people enter the system once they're in the midst of a crisis. “It's like if we didn't screen for high blood pressure, and we didn't screen for high cholesterol, and we just waited for people to have heart attacks and then said, ‘OK, I guess this person has heart disease’,” she said. Of Idaho’s $2.5 billion Department of Health and Welfare budget, just *8.8 percent went to mental health programs in the last fiscal year. That’s a decline from 11 percent in 2006. State spending for mental health crisis and treatment has declined most years following a 2008 peak. At the same time, the agency's total mental health spending, including federal Medicaid dollars has increased steadily during the last decade. Cavanaugh says one result of the cuts is that police departments are now saddled with the cost of crisis care. "The Legislature seemed really proud of themselves because they saved all this money," Cavanaugh said. "But, all you really did was shift it to the local level. Now, instead of calling my counselor or my therapist or changing my medication regime – now, it’s call 9-1-1." Usher said crisis teams are adept at handling initial encounters, but it's important the care doesn't stop once the officer or social worker drives away. “There are a lot of opportunities where a person can fall through the cracks,” she said. “The spirit of collaboration is something that really needs to happen. At the Idaho Department of Health and Welfare's Region 4 headquarters in Boise, social workers and mental-health care providers in an open-concept bullpen calmly answer incoming crisis calls. Greene was responding to an unfolding crisis situation in a small town outside Boise. When Greene hangs up, he turns to his supervisor, Shackelford, and Merrick. The three devised an action plan. In less than 20 minutes, after several phone calls, Merrick and Greene were on the road to meet police officers at the home of the caller’s brother. After speaking with him, the officers and social workers agreed that while the man needed mental health care, he didn’t meet the strict guidelines for an involuntary mental hold or commitment. “His delusions don’t seem to be overtaking every area of his life,” Merrick said to the officers. The group agreed to continue monitoring the situation, but their task, for now, was finished. The ultimate goal of law enforcement and mental-health crisis workers responding to calls is to avoid jail and the hospital emergency room. At its best, the system is intended to encourage people in crisis to seek long-term help through services the professionals can recommend. 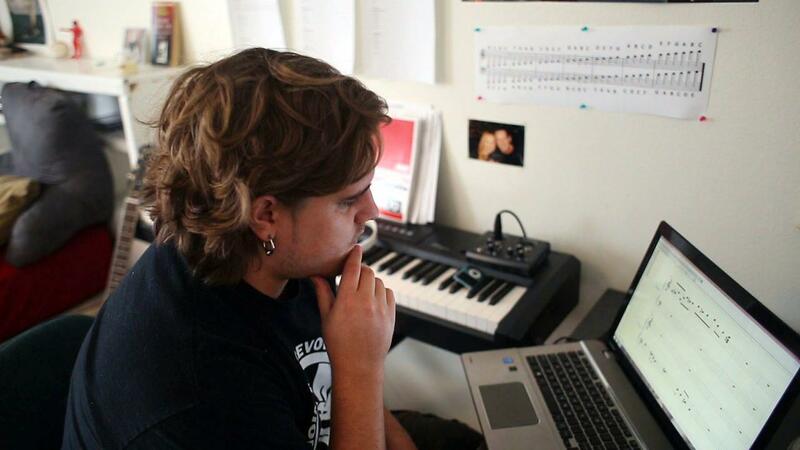 Philip Mazeikas, who enjoys composing music, first experienced symptoms of schizophrenia and mental illness when he was 18. "What we saw as parents was a person who was very artistic," his father Mike Mazeikas said. "Extremely intelligent. High IQ. We were just always proud, and feeding it in a way even when it was so eccentric. I didn't see the signs until it got extreme. 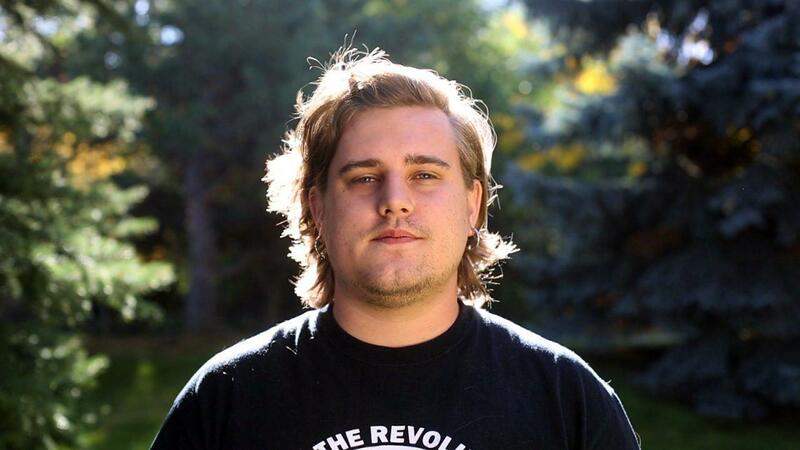 For Philip Mazeikas, it took being held against his will in Blackfoot to come to the realization that he needed medication and ongoing care to live a healthy life with schizophrenia. Mazeikas is now on Medicaid, the state-federal health insurance program for low-income and disabled children and adults. He isn’t able work, but he is volunteering at the Department of Health and Welfare and recently began the certification process to become a peer-support specialist. 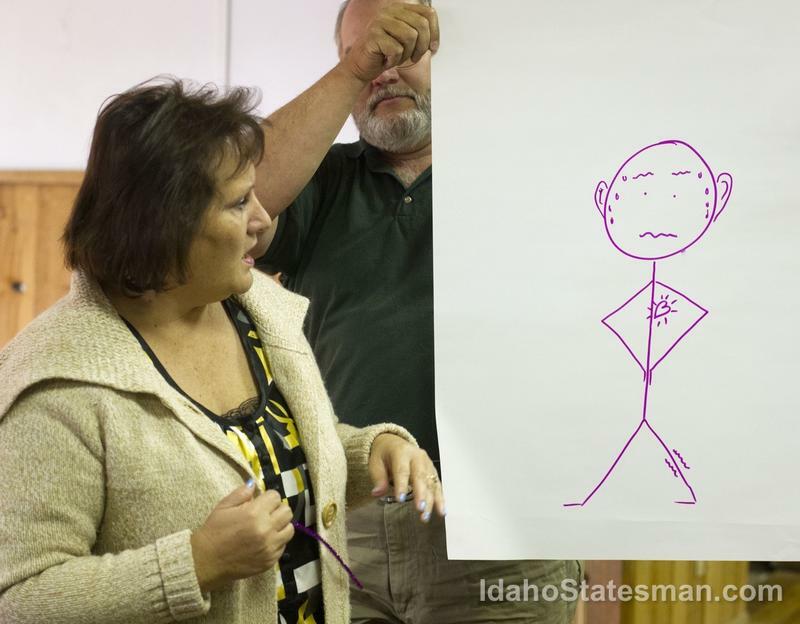 He may eventually help other Idahoans navigate mental illness. “My survival has been dependent on others because of my illness, and I’m really thankful for that,” he said. Learn more about Philip Mazeikas' life with a mental illness in this video. "In Crisis" is a series exploring Idaho's mental health system. The reporting has been a collaboration between Boise State Public Radio and the Idaho Statesman. *We originally reported the state share of mental health funding has declined to 7.5 percent, it has declined to 8.8 percent of the total Dept. of Health and Welfare budget. Connect with reporters @EmilieRSaunders and @IDS_Audrey on Twitter. If someone you know is in emotional crisis and you worry they're in need of help, here are some warning signs to watch for from the National Suicide Prevention Lifeline and National Institute of Mental Health.